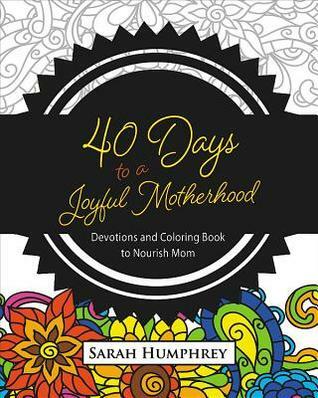 40 DAYS TO A JOYFUL MOTHERHOOD was inspiring, calming, and fun. Mixing a daily Christian devotional with a coloring page for each day to help mothers re-energize and bring joy into their lives. Perfect for those who love daily devotionals and some pondering time while coloring. Would also make a lovely gift. This is definitely an uplifting book. I really like the mix of coloring pages with the devotionals as it automatically lends some time to ponder that day's topic. The devotionals all include a scripture (either summarized or from the NIV or NKJV version of the Bible), a few paragraphs on the topic, and then "A Simple Prayer" that reads fairly non-denominational. I liked all the messages. I would have liked the scriptures to all have been from the King James or NKJV version of the Bible, as that's the version I prefer. I also wanted more from some of the coloring pages. Those would be my only complaints. In the end, was it what I wished for? As I said above, this was an enjoyable and inspiring devotional book. 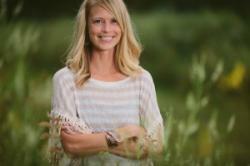 Christian women who enjoy devotionals should enjoy this one. Do you enjoy the new trend of adult coloring books and what do you think of the mix of that and devotionals in this one?